Is Grammarly worth it? Read this detailed review to find out! Ah, Grammarly…my secret weapon when it comes to writing. Let me explain why. Writing is not my strength at all. In fact, one of the reasons why I decided to start a blog was so that I can improve my written communication skills. Perhaps it’s because English is my second language, or because I chose a line of work where I spend my days building financial models (heeeyyy Excel). Maybe it’s a bit of both. Either way, writing was something that was not my favourite thing to do. Worse, because I don’t write well, I felt the process of communicating something in writing was inefficient. For example, there was that pain of rereading a two-sentence email over and over again. Or taking forever to post a short caption on social media out of fear that the Internet police will rip my writing apart. But those fears went away when Grammarly came into my life in 2016. P.S. In the spirit of transparency, I want to highlight that this article is sponsored and has affiliate links. Please note that there is NO extra cost to you as a customer if you use my links. I do greatly appreciate the support if you decide to buy this product through my link. 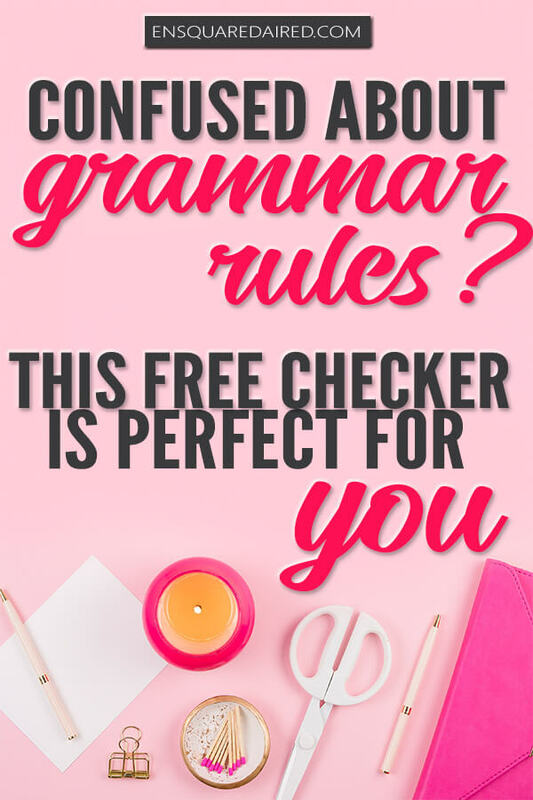 Ok, I get your point – Grammarly changed your life. But first, what is Grammarly? 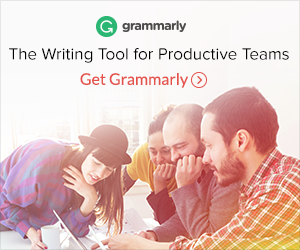 Grammarly is a writing software that can help with taking your writing to the next level. I’m serious. Grammarly detects grammar, punctuation and spelling mistakes. If you are like me and have a habit of writing in passive form instead of active tense, Grammarly will pick that up. It will even make suggestions on how to better articulate your sentences and explain the theory behind word choices. It’s like everything you learned about grammar, except the lesson applied to your writing. CLICK HERE TO TRY GRAMMARLY FOR FREE! Nothing is more embarrassing than making an obvious grammar mistake. And Grammarly helped to cut down those human errors. For context, I wasn’t a bad writer before I started using Grammarly. Because I took enriched English classes in school which had some pretty good writers, my writing skills were pushed beyond my limits. And I managed to write with a fair amount throughout my professional career, despite being BFFs with Excel. Because you know, those financial models aren’t going to explain itself to management. While I managed to get my communication across in a professional setting, I can’t tell you how painful it was to write for work. Essential emails sometimes took over 30 minutes to compose. It was that important to me to ensure that I avoid embarrassing typos or that I write with clarity to avoid miscommunication. Then I decided to revive this blog, and blogs as you know, need an insane amount of writing. It was taking me a long time to write a blog post. Think, one week to be exact for one blog post. On top of that, I was not confident in what I was publishing. I mean, anything you publish on the web stays there FOREVER, so I was nervous about my writing. 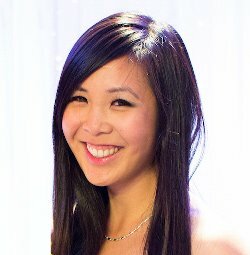 I read about how other bloggers had the same thoughts and would hire editors to review their site. That sounded expensive. So I googled my brains out and discovered Grammarly. I was happy to see that there was a free version of this tool that can help me with my writing. At first, I used Grammarly solely for my blog. Grammarly brought efficiency and saved me time in my blog writing process. I didn’t have to think so hard about missing a coma or track if I’m using the same word over and over again. Grammarly did all that for me. But I quickly discovered how Grammarly could be applied to other aspects of my life too. The same can be said for you. While Grammarly has different ways and plug-ins to use, I used the Chrome extension 99% of the time. READ NEXT: How to start a blog in the most practical way possible! 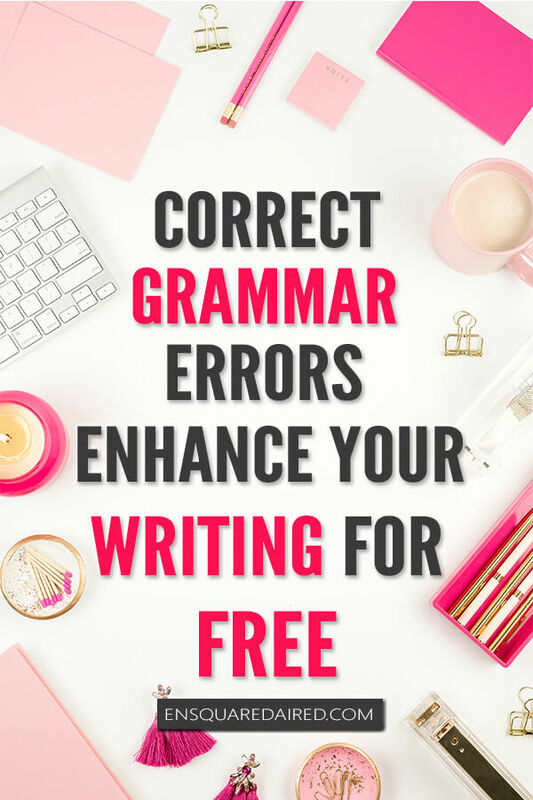 Can I use Grammarly for free? Yes, you can. In fact, I used the free version for six months before I finally took the plunge to pay for Grammarly. 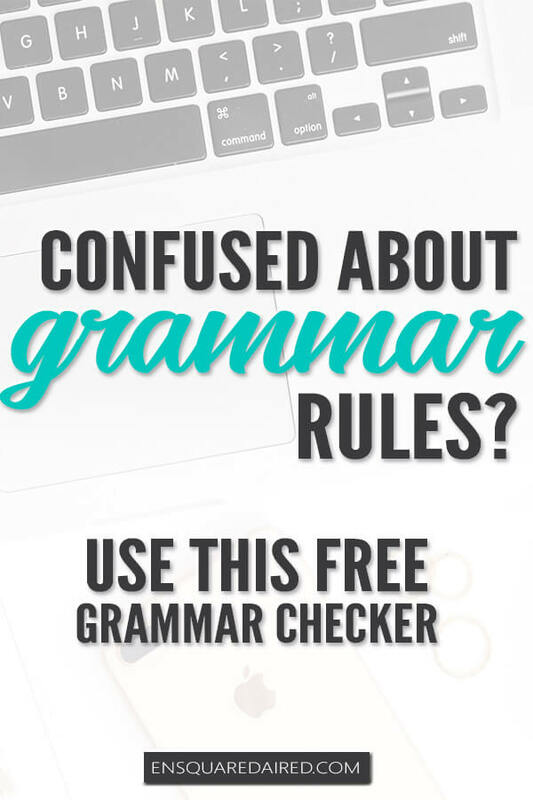 Trying the free version is a great way to test if Grammarly is right for you. Reporting: You can get a weekly report detailing how well you wrote. Obviously, the free version has limitations, but it’s still pretty good for those who want to improve their grammar. Vocabulary enhancement: Grammarly will suggest alternatives to your current wording. This feature will even point out words you overuse and offer ways to add variety to your writing. Plagiarism checker: Grammarly will compare your text with everything on the Internet for plagiarism. If Grammarly finds duplicates, it will highlight the result and suggest how to reference the work. I personally think the monthly and quarterly price is too expensive for Grammarly and purchased the annual plan instead. Of course, there is also the limited version that is always free! Is Grammarly worth it for me? Honestly, I think it is worth it for the majority of the population. But at the end of the day, the ideal person to answer this question is yourself. The best way to assess if Grammarly is worth it for you is if you try out the free version and see if you like it. There are no commitments to buying this software. Test it out for a few months before taking the plunge and paying for premium. You might find that the free version is sufficient for you.